How Does WooCommerce Integrate Commerce with Content Seamlessly? Content marketing, also known as brand marketing, is an effective and affordable way to bring traffic to your website. This is especially useful for businesses that target a specific geographic area. So here we’ll talk about the basics of achieving effective content marketing, and the reasons why it’s important to use local content marketing. You can also discover some tips for applying local content marketing to your own company in an optimal way. 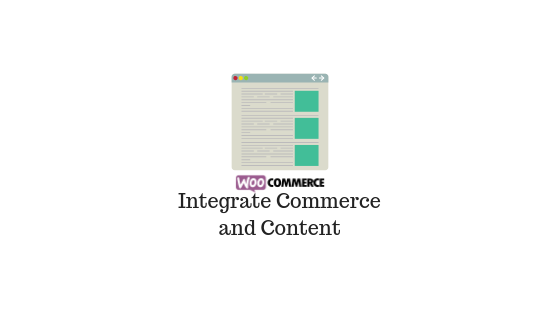 But how does WooCommerce Integrate Commerce with Content? If you sell wedding items, your content could be about the latest fashions, things to remember in a hurry, how to organize a nice wedding on a budget, etc. The content can be put online in written form, video or even audio (there are advantages to everyone that I will detail in the second part of this article). Content marketing can cover anything that might be of interest to your customers and is limited only by your imagination. The Ecommerce Development Company or the Magento Ecommerce Agency offers several strategies for the development of online commerce that allow you to have good visibility traffic. WooCommerce is a free eCommerce extension that allows you to sell everything you want, very simply. Created to seamlessly integrate with WordPress, WooCommerce is the world’s favorite eCommerce solution and offers complete control of the store to both owners and developers. 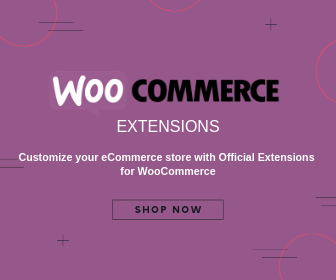 With extreme flexibility and access to hundreds of free and premium WordPress extensions, WooCommerce is already used by 30% of all online stores – more than any other platform. 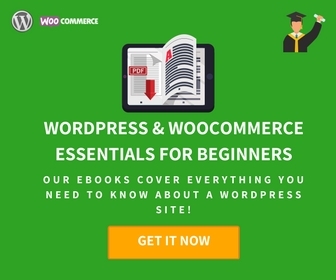 With WooCommerce, you can sell both physical and digital products in all shapes and sizes, offer product variants, multiple configurations and instant downloads for buyers, and even sell online marketplace affiliate products. With premium extensions, you can offer reservations, memberships, and recurring subscriptions. Maybe you want to sell monthly subscriptions for physical goods, or offer your members a discount on digital downloads? All this is possible. WooCommerce is a fully customizable open source eCommerce platform for entrepreneurs around the world. Go beyond traditional e-commerce solutions and limit yourself to your own imagination. Powered by trust: WooCommerce is based on WordPress, the software that manages 26% of the Web. Regularly audited by Sucuri, a leader in the security industry, you are in good hands. Core content: WooCommerce, which leverages the world’s most popular content management system, seamlessly integrates commerce with content. All you need is in one place. Modular system: WooCommerce is kept lean so you can add only the desired options. 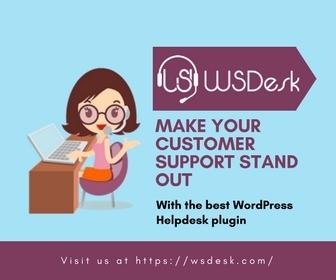 It is also designed to work with your favorite WordPress plugins so you can retain the features you already love. Sell anything from physical products to digital downloads to subscriptions, content, and even appointments – you can sell anything with WooCommerce. No limit: WooCommerce is fully open source, which means you can edit and customize everything and anything. As you have total control, you can add an unlimited number of products and users, and take unlimited orders. Global Community: WooCommerce stores and developers come from all over the world – from Norway to South Africa, from Canada to Japan. Built on WordPress: The principles that animate WordPress are also the basis of WooCommerce. So you already know the basics of development on our platform. Keep using all the plugins you already like and even use WP-CLI to manage the stores. Open development: WooCommerce is fully open source and managed on GitHub. Contribute to software that powers more than 2 million active stores and collaborate with other developers to build the future of e-commerce. More than 400 official extensions: from payment and shipping to marketing and accounting, we have a wide variety of extensions, all designed by developers like you. Tools you already know: Customize WooCommerce with countless actions and filters at your fingertips, custom AJAX endpoints, or Webhooks. REST API: WooCommerce comes with a REST API to manage everything from products to commands. Documentation: Each hook, filter, API endpoint, major release, and extension is meticulously documented so you have the information you need to make the changes you want. A sale is the destination, and your online store is where customers can either leave things in the aisles or end up strong. With WooCommerce, customers can buy your products at their convenience. Place orders quickly and keep customers informed to encourage new purchases and happiness. WooCommerce has a set of features to make this easier. WooCommerce is a global community and helps make your online store a reality. The open-source platform offers extensive functionality and an extremely user-friendly experience for its users. So, let’s take a look at just how WooCommerce fits the bill for online budding merchants. For companies that have just started, the budget is still limited. Opting for a free CMS that not only helps facilitate online sales but also offers an innovative way to do so, is the only idea to follow. One of the biggest benefits of WooCommerce is that vendors who use the platform can tailor the plugin to their products without having a computer degree. Products can be categorized based on sales prices, independent attributes and more. In addition, WooCommerce stores are able to sell physical, virtual and downloadable products. WooCommerce offers more than just ecommerce. For example, WooCommerce users can build a fully functional store within a professional website, as well as an integrated blog. All dimensions of an organization’s online presence are operated in one place and presented in a transparent manner. WooCommerce is a WordPress plugin and the latter supports more than 51% of the most popular sites currently in existence. It is very likely that users of woocommerce have already used WordPress and will necessarily be able to recognize the user-friendly interface of the famous CMS. This kind of familiarity when building an online store could easily help save time while enhancing creativity. Currently, users can choose between 39 different activated WooCommerce themes – many of which are free, via the WooThemes store. Once a theme has been selected, you can then work on modifying predefined CSS styles and color themes, tweaking the code and experimenting with the special features offered by each theme. Woocommerce integrates an analysis system that makes a wide variety of statistics easy to read. Numbers such as total sales, sales by date, average order totals, individual customer statistics and many more are presented in graphs, without the user having to leave his administration panel. How to write WordPress content? But whatever the type of page we are writing, we use the same content editor to build our pages. For all those who do not know what it is, it is actually a mini-software (TinyMCE) built into WordPress that allows you to write articles using features that are usually found on applications such as Microsoft Office Word or Open Office. For me it’s simply “the” essential, because for all our layouts, we always use a “justified text”. By unfolding the toolbar, you will be able to access more features, justified alignment among others. We have already written an article on it. However, I recognize that it is not easy to always have it in front of you to write an article. On WordPress, there is a shortcut, which allows you to display a window with all the shortcuts of the visual editor only. Most beginner bloggers often find it difficult to create paragraphs and line breaks on WordPress. To create a new paragraph, you simply have to press the “Enter” or “Enter” key on your keyboard. So, WordPress will automatically create a new double-spaced paragraph. To create a single line, simply use the key combination “SHIFT + Enter” on your keyboard. This is the feature I use every time I start writing a new article. In most cases, when you start an article, the meta boxes such as “Publish”, “Format”, “Categories”, “Keywords” and “Featured Images” are no longer useful. That is why it can be useful to exploit (for the moment of the writing), the space used by these boxes metas, while passing in the mode full screen. To switch to full screen mode, nothing is easier. Just click on the isolated icon on the right with 4 diagonal directional arrows. It is with this feature that you will be able to determine a title, a subtitle or a paragraph in your article. To change the size of a font, you must click on the drop-down menu and choose the size that suits you. It is not recommended to send your videos directly to your WordPress hosting. You should rather opt for a third-party solution such as Youtube, Vimeo to save your videos. The first and only thing to do is to send your files on Youtube or Vimeo and post the address of your video on the visual editor. Generally, when you copy a text from another location (from another website for example), and paste it on the editor of WordPress, it will be added with the same formatting. In some cases this may be helpful, but in others it is particularly annoying. As far as I’m concerned, I prefer to add a text without formatting. To paste unformatted text, just click the bag-shaped button with a “T” in the middle. What about Version 5.0 of the WordPress CMS? The version 5.0 of the CMS WordPress is mainly characterized by the presence of the new publisher, Gutenberg, which is based on blocks of content. Here is a brief overview, as well as some useful tips. This editor is radically different from the previous version, and you will need some time to get used to it. If you prefer the old editor, you can install Classic Editor as an extension for WordPress 5.0. This allows you to permanently replace Gutenberg by the classic editor or to coexist the two editors. You will be able to choose the editor you will use (Gutenberg or the classic editor) for each article published. Among the novelties, there are the specialized blocks of Gutenberg, which have been developed to offer specific functions on your blog or WordPress website. On Otter Blocks, Stackable and Atomic, you’ll find all sorts of blocks: testimonials, sharing icons, author profile, call to action, rates, team members, Google Maps, and more. For online stores, we recommend WooCommerce blocks, which make it easy to display your products on your pages. 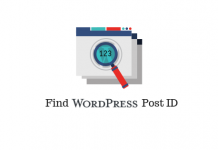 Security: Because WordPress is one of the most popular content management systems, it has become a favorite target for hackers. WordPress 5.0 includes enhanced security features that provide better protection at the kernel level of WordPress. Nevertheless, you must also contribute to ensure that security is fully assured. You will have to p. ex. Use SSL certificates to give your visitors a secure HTTPS connection. 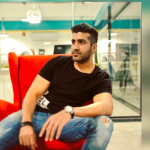 It is also a good idea to activate two-factor identification, such as Duo Mobile, which allows you to connect securely. Also keep your CMS up to date or activate our automatic patching service. The theme used by default is adaptive: Twenty Nineteen adapts perfectly to all mobile devices, all screen sizes combined. It loads very quickly, and achieves better overall performance, which is beneficial for SEO of your website, which is better ranked on search engine result pages (SERP or Search Engine Result Pages). . Trimming the background image: You can now trim an image before it is brought online. At first glance, this may seem trivial, but it will save you a lot of time when you change the background. The Rest API of WordPress has been improved, so that developers can more easily send data to your website and recover from it. This simplifies the development of applications for which the platform serves as a framework. Version 5.0 already supports PHP 7.3, but continues to support older versions of PHP (up to 5.2.4). Many developers have adapted their themes to take full advantage of the possibilities Gutenberg offers, such as block formatting and full-width images. The new theme that WordPress uses by default, TwentyNineteen, has for example been designed to take full advantage of Gutenberg. Neve: a fast, adaptive theme fully optimized for AMPs (Accelerated Mobile Pages), which can be used for WooCommerce, but also for many other purposes (blogs, small or young businesses, etc.). Atomic Blocks: This theme provides options for changing the font, body size and title, and the width of the content. It also includes an extension, Atomic Blocks, which allows you to choose from different blocks (icon sharing, testimonials, etc.). Hestia: a single page, a footer with widgets, and a blog / news page. Adaptive theme, optimized for search engines. Editor Blocks: minimalist theme, which covers the entire width of the page without side borders. Fast, adaptive and optimized for search engines. Quna: another minimalist theme, but particularly suitable for personal blogs and start-ups, with the ability to post photos from your Instagram feed. Palmeria: free theme, specially designed for restaurants and hotels, with integrated booking function. As for themes and extensions, the existing themes are in principle compatible with the publisher Gutenberg and WordPress 5.0. On the other hand, you will have to be very attentive to the extensions, because the latter will often require an update. Fortunately, extension developers have already had ample time to adapt their projects to the new possibilities offered by the publisher. The most essential extensions such as WPForms and Yoast SEO are now fully compatible with WordPress 5.0 and the new editor. What happens to your existing content? It goes without saying that your existing content will be kept when updating to WordPress 5.0. It will however be presented in a “classic” format, ie a single large block of text instead of the blocks you get when you create an article in the new Gutenberg editor. If you want to convert your existing content into blocks, you can do it, and very simply by the way. Just open an article, place the cursor in the classic block, and then click on the three dots next to the input field. Then select Convert to blocks. In most cases, the content will be converted without any problem. Currently, there is no extension to automatically convert all content into blocks. Upgrade to WordPress 5.0.1 as soon as you are ready to do so. Because many vulnerabilities have unfortunately been identified in older versions. But do not do this without being well prepared. Preferably upgrade to a test environment and do not forget to make backups. At Combell, you have automatic backups that you can restore yourself in your control panel. If you prefer working in your good old editor, install the Classic Editor extension. So you can at least enjoy the many bug fixes and security enhancements in WordPress 5.0! If you still want to wait for a while before upgrading from WordPress to 5.0, we recommend you install the Gutenberg Editor as an extension. You can already enjoy its look and feel. To do this, go to your WordPress dashboard. Under Extensions, click Add. Search for “Gutenberg” and click Install Now. From now on, in the Items section of your dashboard, you will have the opportunity to open the Gutenberg Editor. Getting ready for Gutenberg editor. How to create user friendly product information on WooCommerce?